Whether you're trying to get a project funded, don't understand how to read a lighting plan or are just interested in finding out more about how a venue programmes a season, we're here to help. Regardless of whether you’ve just graduated or are a seasoned theatre maker, everyone needs advice from time to time and we’ve got a wealth of experienced staff on hand. Once a month, members of our creative, backstage and technical teams will move their offices to The Rivals Cafe in the Great Hall and welcome any Open Exchange members to drop in and ask those burning questions. Art With Heart are bringing their Artist Brew Day to the Exchange! Around four times a year we fill up the kettle, stock up on biscuits and open our office door for any artists or companies in need of an ear, a hand, or a spot of advice. We don’t consider ourselves the experts, but we’ve learnt a lit along the way. We are so thankful to all the artists who have helped us over a brew and a biscuit from creative to budgeting to pastoral advice that we wanted to pay it forward to others. Since 2016 we’ve been offering slots to artists and producers across Greater Manchester. Click here to book a slot with Art With Heart. If you have any questions on how/where/what to submit, rules & regulations, the new Awards structure. The Bruntwood Prize for Playwriting is a genuine endeavor to discover new stories and help playwrights develop their craft, providing everybody and anybody with the opportunity to write a play - so Chloe can help point you to the rich amount of online resources the Prize has gathered on the website over the years. As Producer, Amy is a member of the artistic directorate at the Exchange, working with Sarah Frankcom and Senior Producer, Ric Watts, to make the overall programming and strategy decisions for the building. Amy also line-produces a number of productions across both the Theatre and the Studio as well as looking after The Exchange’s strategic touring, Studio visiting companies programme, securing the rights, creating and monitoring the budget, managing partnerships and creative teams and, artist development scheme Open Exchange. Bryony joined the Exchange in June 2018 with her first show in her role as Associate Artistic Director, directing QUEENS OF THE COAL AGE by Maxine Peake. Bryony was born in Stoke-on-Trent and trained at the East 15 acting school in Acting and Contemporary Theatre. She is an award-winning theatre maker and was the 2016 winner of the Young Vic Genesis Future Directors Award. Alongside a vibrant freelance directing career, including projects such as CHICKEN SOUP (Sheffield Crucible) and TRADE (Young Vic) she is a founding member of Snuff Box Theatre Company, a theatre collective making bold new work for today. Writer and performer Chris Thorpe is a founder member of Unlimited Theatre and a member of Third Angel, a company fuelled by original and contemporary performance. Chris’ play for the Royal Exchange, THERE HAS POSSIBLY BEEN AN INCIDENT, was selected for the Berlin Stuckemarkt 2014. Other recent work includes I WISH I WAS LONELY, a collaboration with poet Hannah Jane Walker, HANNAH for Unicorn Theatre, Third Angel's WHAT I HEARD ABOUT THE WORLD, and CONFIRMATION, a collaboration with Rachel Chavkin. He plays guitar in Lucy Ellinson's #TORYCORE. As Head of Production, Simon is responsible for overseeing the delivery and running each season’s productions, events and visiting at the Royal Exchange Theatre, working in collaboration with a wide and varied range of directors, designers and artists. Working with these people he interprets the artistic vision and leads the production teams to deliver, within agreed timescales and budgets, the best production possible. In collaboration with the producing team, artistic director and individual members of the creative teams, he leads the Production team to ensure the most effective use of resources in the realisation of all production and technical elements of productions.  As Head of Sound, Sorcha is responsible for leading the Sound team and requirements which will include all aspects of theatrical Sound and associated equipment, ensuring this is undertaken in a safe and consistent manner at the Royal Exchange Theatre. She manages all aspects of Sound in the Technical department efficiently and effectively in order to consistently deliver the highest standard of technical support. As Assistant Producer, Max supports the Producer and Senior Producer in line-producing the artistic programme at the Exchange. Max’s role covers anything from processing payments to contracting creatives and brining onboard freelance creatives such as Fight Directors and Vocal Coaches. Max also produces the new writing workshops at the Exchange including the casting of these workshops and produces special events for the Exchange. As Head of Technical, Richard line manages the in-house Lighting, Sound and Stage teams, and maintains an overview of all projects and events across the buildings and beyond. While the Sound and Light/Electrics departments have a degree of self-containment, Richard has a more overarching view and will co-ordinate with heads of department and nominated production manager to make sure work is coming in on time and on budget. As Director of Creative Learning and Engagement, Inga is responsible for the strategy and leadership of the department. She manages a team that develops and delivers a range of training, workshops, projects and productions with children and young people, elders, community groups and schools across Greater Manchester. She represents the theatre externally with a range of partners and networks both locally and nationally including with cultural, community, local authority, third-sector, academic and funding partners. Inga is also part of the theatre’s Senior Management Team. As Director of Marketing and Communications, Laura’s overall purpose is to devise, plan and implement marketing, PR and communication strategies that develop audiences, maximise sales and maintain a strong brand profile to support the Company’s business plan and work closely with Senior Management colleagues across the Company. On a day-to-day basis, she manages the marketing, sales and communications team, with line management responsibility for four members of staff and overall responsibility for the wider team of 18. As Development Director, Val leads on the development and management of the Exchange's Fundraising Strategy. She leads a team of five who work together to raise approximately £800k p.a. from businesses, grant making bodies and individuals. She has 14 years’ experience in senior fundraising roles in Theatre and Visual Arts including Manchester City Galleries, The Art Fund and The Arts Catalyst. Prior to this she worked in local government securing funding from the European Union and government for large scale economic development projects and programmes. Amit has been Graeae’s Associate Director since 2011, and is a graduate from Graeae’s Missing Piece actor training course. His work has included traditional building-based performance and largescale outdoor events including PROMETHEUS AWAKES (La Fura dels Baus / co-commissioned by Greenwich and Docklands International Festival and Stockton International Riverside Festival), marking the first large-scale outdoor production to be artistically led by Deaf and disabled people in the UK. Most recently, Amit directed Jack Thorne’s new play THE SOLID LIFE OF SUGAR WATER (Graeae Theatre Company /Theatre Royal Plymouth). Read more about Amit's appointment as Associate Artistic Director here. The Royal Exchange needs to raise £800,000 a year from businesses, charitable Trusts and individuals. As Senior Development Manager, Gina is responsible for raising funds from charitable trusts and grants including Arts Council and the Greater Manchester Authority. She’s worked in the arts and culture sector for 16 years as a fundraiser, project manager, local authority officer and senior manager. She’s also trustee for two Arts Council National Portfolio organisations, and as a freelance fundraiser has experience of Grants for the Arts, Project Support Grants and Grantium. As Senior Producer, Ric is a key member of the artistic directorate at the Exchange, working with Sarah Frankcom to make the overall programming and strategy decisions for the building. Ric also line-produces a number of productions across both the Theatre and the Studi, securing the rights, creating and monitoring the budget, and managing partnerships and creative teams. Ric also has a wealth of experience of touring small and mid scale work, for his past as a freelance producer. A writer, theatre practitioner and arts education consultant, Amanda is an Associate Artist at the Royal Exchange, Visiting Teaching Fellow in the Writing School at MMU and a Royal Literary Fund Fellow. She writes for theatre and for BBC radio and her poetry collections are published by Bloodaxe Books. For the Exchange she has written several original dramas and adaptations, most recently a dramatization of Janne Teller’s NOTHING, created for the Exchange’s Young Company and staged in 2016 and 2017. Her extensive radio credits include radical re-imaginings of the silent movies THE CABINET OF DR CALIGARI and NOSFERATU. During her time as the Royal Exchange’s Engagement Director she led a number of innovative programmes and projects including YOU, THE AUDIENCE and the installation MAKING AN EXHIBITION OF OURSELVES. Open Exchange provides a series of development opportunities for emerging artists of all disciplines, rooted in the belief that collaboration creates great art and brilliant theatre doesn't always begin with a script. Sign up here for opportunities.